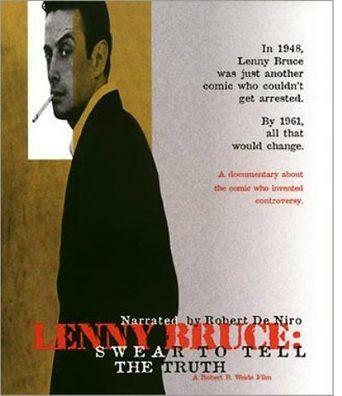 Last night I watched the sobering documentary on the infamous American comedian Lenny Bruce called, Swear to tell the truth. It was disturbing to see him persecuted and harassed by the police and judicial system in the US because of his anti Catholic rhetoric. It occurred to me after watching a lot of Lenny’s material here and on you tube that ‘comedy’ seems only truly savored in the era it is performed. Lenny’s material was undoubtedly cutting edge for its time, but I didn’t find it hilarious or particularly poignant. Comedy in general doesn’t seem to age well unless there is a personal connection to the artist and era it was communicated. I even noticed my favorite sit com ‘Seinfeld’ is beginning to age as its social commentary is becoming less and less ‘current’. For example, Stanley Kubrick’s classic, Dr Strangelove is considered one of the greatest comedies / satires about the cold war, yet if you didn’t live with the threat of nuclear war in the 60s it may be difficult to appreciate its ingenuity. Recently I watched the documentary about the German born American writer Charles Bukowski – Born Into This. Bukowski was a LA based novelist, poet and social commentator, who changed the way people thought about writing. Like Lenny with comedy, Bukowski was a major instigator of change in the literary world reflecting what many people were thinking, but wouldn’t dare write about. Wikipedia states, ‘His work addresses the ordinary lives of poor Americans, the act of writing, alcohol, relationships with women, and the drudgery of work. Bukowski wrote thousands of poems, hundreds of short stories and six novels, eventually publishing over sixty books. The FBI kept a file on him as a result of his column, Notes of a Dirty Old Man, in the LA underground newspaper Open City.’ Read more here. Bukowski wrote in his novel Women,“I like to change liquor stores frequently because the clerks got to know your habits if you went in night and day and bought huge quantities. I could feel them wondering why I wasn’t dead yet and it made me uncomfortable. 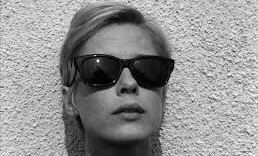 They probably weren’t thinking any such thing, but then a man gets paranoid when he has 300 hangovers a year.” See more quotes from ‘Women’ here. I recently read the undisputed king of rollicking good times Fear and Loathing in Las Vegas by Hunter S Thompson, which is undoubtedly one of my favorite books. This hasn’t aged to me at all. The rhythm of the book is unmatched. I read this classic in just two sittings. I am loathed to see the movie since I have these vivid images in my head of what I think the story is. I don’t want to ruin that. The mastery of wordsmanship in this book cannot be faithfully replicated on screen. It’s impossible. Words speak volumes in our minds over mere vision and portrayal. Enjoyed and appreciated your response to Lenny Bruce and how comedy ages or doesn’t age (well). I’m 60 and thoroughly appreciated Lenny Bruce and what he went through. I also enjoyed some of the poetry of Bukowsky; I never cared too much for Thompson. Keep reading, Keep writing! Nice to read your comment. You didn’t like Fear and Loathing in Las Vegas? I have added your blog ‘ileneonwords.wordpress.com’ to my favourites so I can read it at length in my spare time. I look forward to it. Cheers. Thanks Matthew. 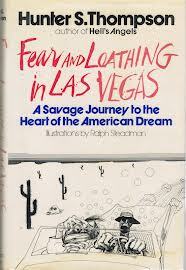 I didn’t read “Fear and Loathing…” and I didn’t see the movie, I’m looking right now at a thin pamphlet from Black Sparrow Press, 2/1973, Sparrow 5, “While the Music Played” by Charles Bukowski. 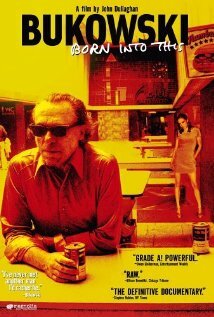 Based on what I saw in the doco, I would like to explore Bukowski including ‘While the Music Played”. There is so much to read and so little time to do it! Bukowski’s Post Office is among my favorite books ever. I haven’t read it in probably 15 years or so. Time to dust it off! Based on the the Bukowski doco, he wrote it in just 3 weeks. I have three books of his including the Post Office to read. I am looking forward to reading it soon. Cheers. I ‘discovered’ Lenny Bruce in 2004. I was born in ’57; too young of course to have known anything of Lenny. I disagree with your view that one must live in the era of the comedian. I have found great joy in Lenny. (And also Brother Dave Gardner: Same era) His philosophy and wisdom are timeless. Yes, it does help to know some cultural history, but it is not required, as some things reach across generations very nicely. The appeal of the movie, I suppose is just getting a look at ‘a Lenny’ on stage, as there are precious few taped recordings of ‘The Lenny.’ “The Performance Film” is good, but it was obviously the nadir of his career. The Carnegie Hall performance is probably one of his best, if not the best. Do not delay: find a copy (I think you can download it from Amazon) and listen. Enjoyed your post. I am always happy to read opinion on Lenny Bruce. Thanks for your comment and I am glad that you enjoyed my post. Based on the feedback I have received about the importance and timelessness of Lenny’s material, perhaps I may have jumped the gun writing that ‘comedy’ is only truly savored in the era it is performed. I will make it a priority to listen to The Carnegie Hall performance. By the way your blog looks interesting! I forgive you. Lenny forgave you…years ago. I agree. Material can lose its relevance with age. Place as well. If you’re not from around here, you might not get it. Yep, too right, place as well. I gather you are from New york. Lance (LAMARCOM), a fellow blogger who commented above is trying his hardest to prove to me otherwise. You should check out his blog. It has a truck load of interesting Lenny Bruce material. Thanks for commenting on my blog!